Steven Masood: Does America need Islam? My response to “The Key to Defeating ISIS is Islam” Written in the Huffington Post by Salam Al Marayati, the executive director of the Muslim Public Affairs Council, DC. 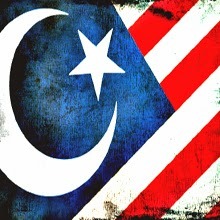 Does America need Islam? I disagree completely with Salam Al Marayati’s statement, “America needs Islam -- not to convert people to the religion, but as the antidote to the toxic and threatening ideology of ISIS.” (Please see his article, “The Key to Defeating ISIS is Islam” in the Huffington Post. The link is posted at the end of my response.) Personally, I have felt the negative side effects of Islam, which America most definitely does not need! I was born in Islam, did my best to be a good Muslim for 23 years and have studied it for 40 years. Salam Al Marayati’s article seems to be a deliberate attempt to show Islam as a peaceful ideology and ISIS as a group which Islam does not condone. Let’s look at his claims concerning ISIS and Islam and see the real picture in the light of the Qur'an and what Muhammad taught. Salam Al Marayati does not mention that chapter 8 of the Qur’an is named Al-Anfal - “Spoils of War, Booty.” Muslims had just won a battle against Non-Muslims and then argued over how to divide the booty. To keep his followers from animosity against each other, Muhammad played a spiritual card: that the spoils in fact belong to “Allah and His messenger” – Muhammad. “O ye who believe! give your response to Allah and His Messenger, when He calleth you to that which will give you life; and know that Allah cometh in between a man and his heart, and that it is He to Whom ye shall (all) be gathered.“ - 8:24 (Yusuf Ali). Since we have already seen some other verses of chapter 8 (“Spoils of War, Booty”), let’s see the context verse of 3:102 which states: “O ye who believe! Fear Allah as He should be feared, and die not except in a state of Islam.” (Y. Ali) This obviously refers to Muslims and the desire for all people to become Muslims. Just one verse after we find that this is instruction that among Muslims there should always be a group that act like religious “police” - instructing people to do good, perform their prayers and religious dues. The public interest is in fact Muslim interest and not what Salam Al Marayati states. In fact, this verse goes in favor of groups like ISIS. Al Marayati also fails to mention that the first caliph, Abu Bakr, attacked apostates in the Riddah (Apostasy) Wars. Obviously, “no compulsion of religion” meant nothing to Abu Bakr as he forced the apostates to revert, fight to the death for their right to apostate, or pay a ransom as dhimmis – second-class citizens. Is Abu Bakr, the first caliph, not an Islamic leader? 3.) ISIS spreads cruelty. Islam is spreading mercy (21:107). It is not Islam but Muhammad is referred to as mercy in this verse of the Qur’an, “We sent thee not, but as a Mercy for all creatures.” - 21:107 (Yusuf Ali). Just because a book states that someone is a Mercy does not necessarily mean it is true. Did Muhammad have mercy on the people he ordered killed (men) and enslaved (women and children), such as the Jewish clan Banu Qurayza? I personally do not believe so. It is the ideology of Islam that is troublesome in the first place. Yes the Qur’an does have some nice verses, but they are from Muhammad’s life when he did not have the ability to conquer his enemies. Once he had enough power to subdue his enemies, the violent verses were revealed. Nowadays, countries in which Muslims are in the minority are associated with the first period of Islam, before Islamic violence started. The caravan raids (and the Battle of Badr in which Muhammad first showed his military prowess) began the revenge mentality against the unbelievers for rejecting him. Muhammad did not obey Jesus Christ’s command to love his enemies once he had the power to attack them or retaliate against them. ISIS is doing the same as Muhammad and later his Khulafa (successors) did. What ISIS is doing is what the majority of Khulafa (successors of Muhammad’s political leadership) did. If a Muslim killed a Non-Muslim, he could not be given capital punishment for it. In many cases not even blood money was given. If a person was accused of blasphemy against the prophet, that person could easily be killed. About Sura 16:90, it is said to have been revealed to Muhammad at the time when he and his people started immigrating to Medina. The people who welcomed him there were called the Ansar, the helpers. To bring unity between the immigrant Muslims from Mecca and those of Madina, this passage refers to having justice and kindness among the Muslim brotherhood. Muhammad made both Christians and Jews second-class citizens. During the period of 1300 years of the Khulafa rule, privileges were available to only a few who were used as pawns by the Islamic hierarchy, to keep control over the minorities. “The future” in this verse of the Qur’an is mentioned as in the hereafter, akhira. It is for those who are not corrupt. Anything which is not Islamic is seen as corrupt. Thus, through the centuries it has been clearly understood that to have the eternal life in the hereafter, one has to be a good practicing Muslim following what Allah in the Qur’an has said and similarly, following Muhammad’s instructions and life example. The verse Salam Al Marayati references does not talk about the future as the secular West understands it. It talks about the future when Allah will bring the last day, and will judge people. This verse refers to that future and not what Salam Al Marayati is pretending. ISIS, contrary to some Muslims influenced by Western ideals, is not begging for peace. Since the Qur’an and the life of Muhammad are as Islamic as Islam can get, it is important to understand that ISIS seeks to obey the Qur’an and follow Muhammad’s political campaign of dominance. Granted, some Muslims, heavily impacted by Western ideals of tolerance ever since the caliphate ended in 1924, do not obey the violent verses of the Qur’an or follow Muhammad into fighting Non-Muslims. ISIS however despises Western influence and seeks the return of the caliphate in order to advance the Muslim dominion of the world, begun by Muhammad and continued by his successors. Interestingly, Salam Al Marayti, in his article, neglects to mention the verses of the Qur’an that motivate Muslims not influenced by the West to fight disbelievers: (2:190-193; 2:216; 2:244; 3:167-171; 4:74-77; 4:84; 4:89; 4:95; 8:12-17; 8:38-41; 8:65-75; 9:1-5; 9:12-14; 9:28-33; 9:44-45; 9:81-83; 9:86-88; 9:123; 33:25-27; 47:4; 47:20; 48:15-17; 59:2-4; 61:4). Jesus Christ did not teach violence against enemies, but rather taught love for one’s enemies (Matthew 5:44; Luke 6:27-37). While it is difficult to love those who hate, God’s love through Jesus Christ dissolves the cycle of revenge and hatred in the hearts of those hurt by injustice. As a former Muslim who has accepted God’s salvation through Jesus Christ, I love those who hate me through God’s Spirit filling me with His love even for those who want my death. It is the ideology in the Qur’an and traditions that is a problem. A true Muslim is just the prey of it. Unless Muslims fully shun the ideology of Islam, movements like ISIS and others will keep rising. Thank you for taking the time to read my response.